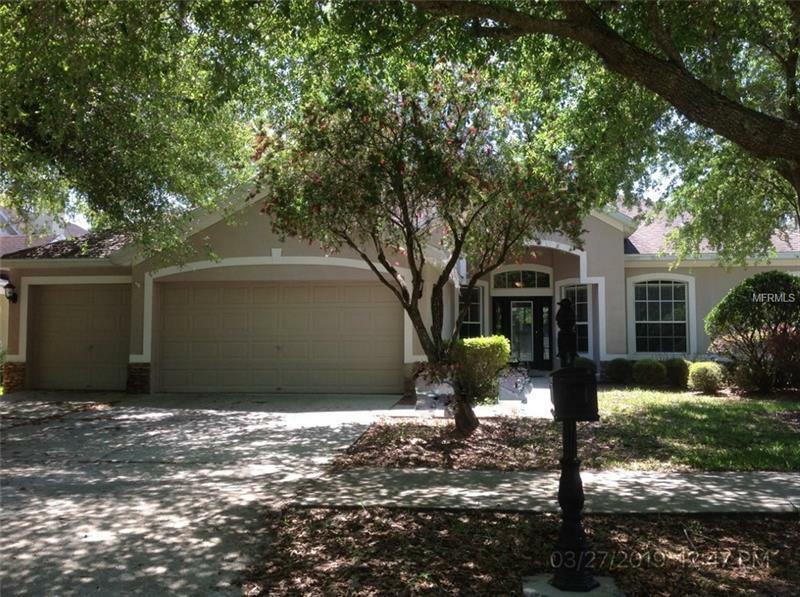 Bloomingdale Pool Home Located in the Gated Community of Eagle Point. This Spacious layout includes; foyer separate dining room family room 4 bedrooms 3 full bathrooms office/den plus Bonus Room 3 car garage with 2806 sf of living. Open Concept Kitchen offers plenty of counter top and cabinet space. Family Room offers lots of natural light. The Large Master en-suite offers soaking tub separate shower separate sinks & dream walk-in closet. The other spacious bedrooms are on opposite sides of the home with bathrooms and Oversized Bonus Room with access to the pool/spa. The Screen Enclosed Lanai offers Brick Pavers Child Safety Fence and pool/spa.